There’s an old piece of riding advice that reads, ‘Throw your heart over a fence and your horse will follow’. Another advises that if you don’t give your whole heart, you don’t get the whole horse. Because horses are flight animals, they find comfort when the person in charge knows what they are doing and lend confidence to those around them. Good horsemen do this. A few years ago I bred a colt who taught me – the hard way – that I do not. At least, not consistently. The fact was I was more than a little intimidated by this glorious creature and felt hopelessly unequal to the task of doing right by him, which made me wafty and indecisive. Irritated by my self-doubt and constant second-guessing, my colt would grow annoyed and quite literally chase me out of his space – a mortifying reaction from the love of my life! However, as is so often the case, it was a good lesson and made me rethink a few things that I’d been taking for granted. Namely him, and the fact that I’d been stupid enough to think he’d accept less than 100%. Forward on a few years and my fussy colt was in training. He was big, he was beautiful and he was still entire, and the fact that I’d raised him to think he was special meant that he had an opinion and was not afraid to use it – not unlike his owner in some ways! Naturally I wanted a very specific sort of jockey for my special boy – someone confident, someone courageous, someone who wouldn’t try and force my horse over the line, but instead would throw his own heart over first and invite my colt to follow. Which brings me neatly to Karis Teetan. Some people have horses in their blood – even if they don’t realise it, the fever will rise and they will find their way to a horse. The story goes that the first time Karis ever sat on the back of a horse – at a beach riding facility in Mauritius – the horse bucked him clean off. However, somehow the young boy landed on his feet. I can almost imagine the look of surprise and then the broad grin that would have followed. Showing tremendous faith and foresight, Karis’ family scraped together the means for him to receive formal training at the Mauritian Pony Club, where he showed less interest in learning the art of jumping than in seeing how fast he could get the horses to go. Somehow Karis knew he was meant to be a jockey. 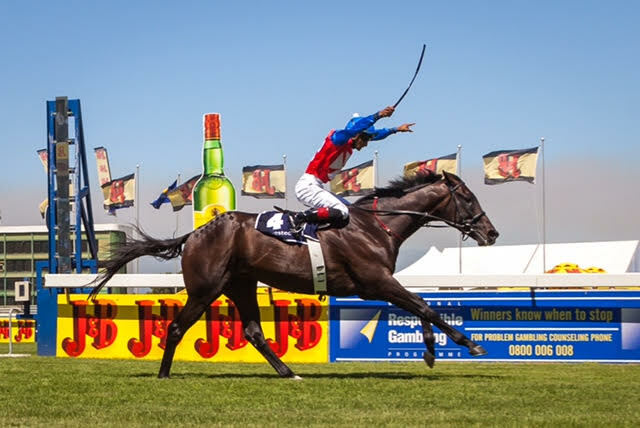 His chance came a few years later when he was selected to train at the South African Jockey Academy. His father was a sugar cane worker and for a family of modest means, the decision to make the sort of sacrifices the tuition fees required would have taken a leap of faith. It took this same faith for the 14 year old with no English to leave his home, his family and his country to study for one of the toughest professions on earth. And he repaid this faith by applying himself unreservedly to his studies and his riding and finally finding himself exactly where he needed to be. Most people have a niche or an environment where they are most comfortable – with Karis it is on the back of a horse. A contemporary once described him as the most athletic jockey they’d ever seen and you have only to see photographs of his early wins aboard Thunder Dance and Jackson to know that it is true. It’s not exhibitionism or machismo – it’s the sheer exhilaration to which all horse lovers aspire: flying with your horse. Lester Piggott, arguably one of the greatest jockeys of our time was asked what attributes a jockey needs. 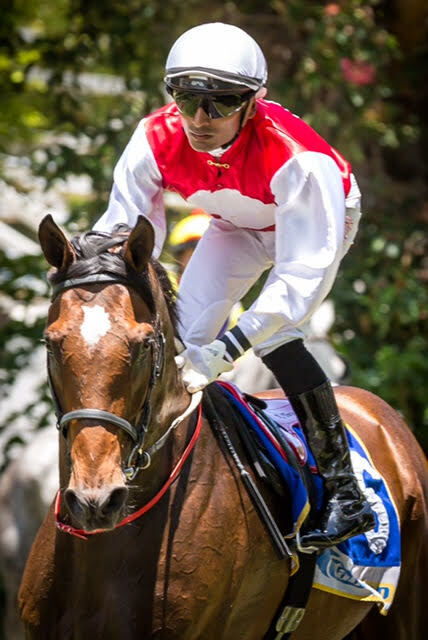 He answered, “A jockey has to make horses want to run for him.” Of course, anyone can tell you that a 50kg jockey cannot ‘make’ a 500kg racehorse do anything, so it’s a question of finesse and of inspiring sufficient trust to get two separate individuals to join their efforts towards one shared goal. As with any equestrian activity, out on the track it’s a game for two. Your lives are literally in each other’s hands, so you have to trust, or the horse will know. You cannot hesitate, or doubt, or the horse will too. Karis knows how to trust because it’s when he’s on a horse that he can finally move at the pace he’s designed to. He comes alive on a horse. It’s as though he has tiny mechanisms that only find their reciprocal parts in the saddle. And when they do, it is a joy to watch. The key to good riding lies less in what you do, than in what you don’t. It’s what you allow, rather than what you prevent. To quote Piggott again, he said “The horse has his own centre of gravity just behind his shoulders. 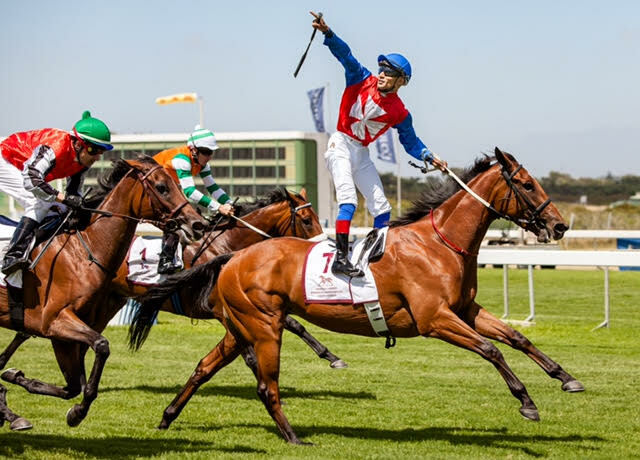 The jockey has a centre of gravity. But the jockey can shift his, and the horse can’t. At every stride the horse’s centre of gravity is shifting in relation to the jockey’s. Getting a horse balanced means keeping your balance, every stride, every second, to suit his.” Karis has a particular balance and agility in the saddle. He sits a fraction more forward than most, just ahead of the horse’s centre of gravity, willing it to follow. He is also one of the most naturally balanced riders I have ever seen, assuming responsibility for his own balance in the saddle and making it easier for the horse to find its balance below him. Horses have been able to run in a straight line for time immemorial, so rest assured they’ve got that bit down pat. A good jockey mainly needs to steer, judge the horse below him and to be the eyes above the ground to read the race and know when to ask. Of course, the art lies in asking at the right time. And getting the horse to respond. It is called ‘feel’. It is the nebulous ability of reading, computing and reacting to the quicksilver below you that most horsemen spend their lives trying to achieve. In some people it’s innate and merely requires the confluence of circumstance and timing to unlock. Karis is one of them. He doesn’t question it, he simply acknowledges it. And every day, with every ride, he practices and tries to improve it. To get back to my colt again, owners don’t always get a say in these matters, so my colt was ridden by a few different jockeys in his career. I knew him well enough to tell from the canter down whether he liked the rider or not – if he did, he’d canter down politely; If he didn’t, he’d fuss and fret. After much begging and cajoling I finally managed to book Karis to ride for me and considered it an honour when he accepted. My colt not only went down like silk, but came back to post the best result of his career. Of course, it doesn’t always work out like that. 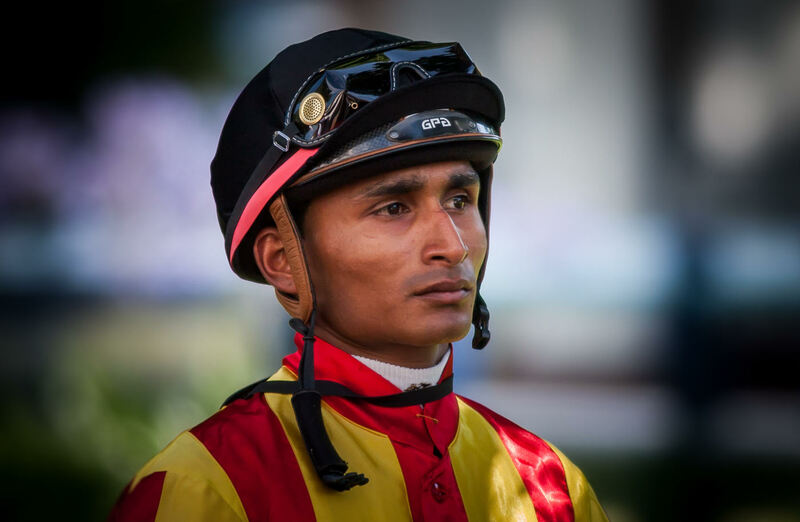 Some horses are content with less, but nonetheless I enjoyed watching the young Mauritian rider, not only for his panache in the saddle, but also for the glorious patrician features that make him such a joy to photograph. He was still finding his feet in those days, but with each ride he grew in confidence. It was as though he was feeling his way around his ability and figured it out a little more with each ride. More than anything, Karis seems interested in figuring out the quirks and peculiarities of each horse and takes being ‘jocked off’ harder than most. I remember one such incident in particular. He’d ridden a particularly eye catching, but sensitive grey horse for a while and I recall chatting to him in the parade ring one day, after the horse was ridden by someone else. I was surprised how crestfallen he was when he said “He stole my horse.” It was the ‘my horse’ that caught my attention. It wasn’t losing the ride that hurt, but the chance of completing that particular puzzle. A horseman recently told me that it takes three ingredients to make a great jockey – ability, hard work and horsemanship. One sometimes finds jockeys with ability. But ability has to be matched by hard work if it is to be turned into something meaningful. If you can someone talented, who is prepared to work at it, you have a good jockey. If you can find a jockey with the talent and the work ethic, who is also a horseman, then my friends, you are in the realm of the greats. It’s Karis’ trust in his gifts and his sincere commitment to improving them in order to help the horses he rides be able to run that makes him so singularly good at what he does. He gives his all and it inspires those around him to do the same in return. It may sound odd to say that I am proud of Karis and what he has achieved, but I will say it anyway, because it is true. 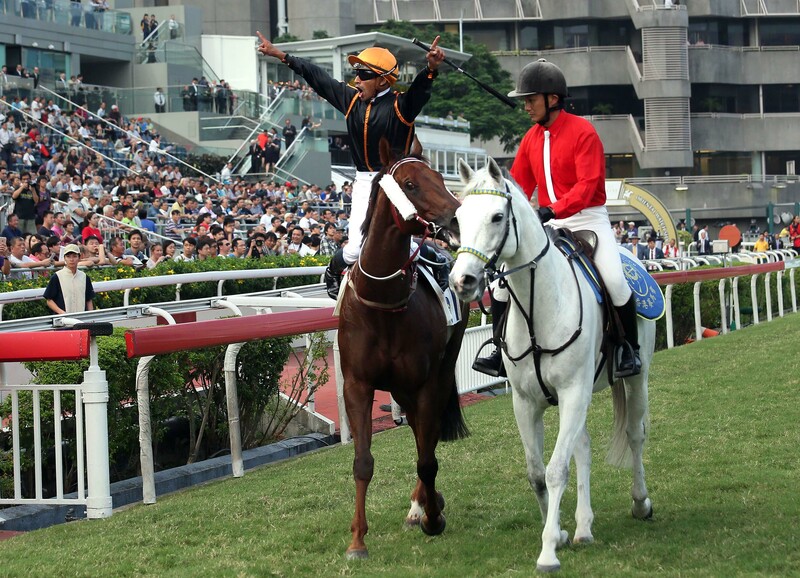 It has been a long journey from a bucking beach hack to the bright lights and big crowds of Hong Kong, but Karis has done it and throughout, he has remained an enormously grounded, loyal and humble young man. It is a tremendous privilege to know him. Strangely enough I never did get my colt to run for anyone else. 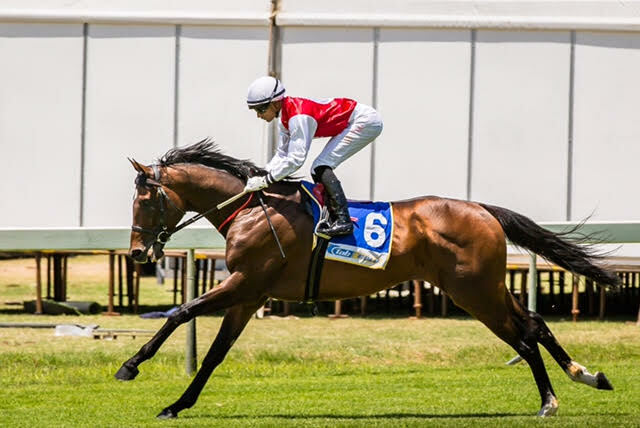 This entry was posted in Hong Kong Jockey Club, Hong Kong Racing, Horse Racing, The horse racing industry and tagged Karis Teetan, lester piggott, Mauritian Pony Club, Mauritius, Robin Louw, South African Jockey Academy. Bookmark the permalink. What a fabulous article and story. It’s all so true. I believe I used to be a very good horseman, competing at the highest levels in the world of eventing. I now realize that I am no longer a good horseman hopefully only due to advancing years, dwindling confidence and lack of youthful athleticism. I have recently taken a hit with a gorgeous big grey thoroughbred that I was trying to re-school for eventing purposes but note that he is has gone backwards in his training. As you say in your article I believe my beautiful animal was irritated by my self doubt and constant second-guessing. Perhaps I need to give this horse a second chance and “throw your heart over a fence and your horse will follow”. Whether I’m up to that challenge remains to be seen however I think I will give it a go. I will watch out for Karis Teetan next week in Hong Kong and thank you for the tip!